Joe works as a building contractor and is a widower with a young family. Joe is an active member of the local community. He is involved in J.K. Bracken GAA Club as well as the Templemore Athletic Track and the Templemore Golf Society. 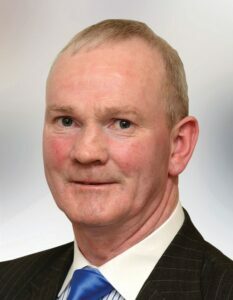 Joe is involved in Clonmore Development Committee. Joe’s aims are to bring quality, secure employment to the area, and to address the issues around youth unemployment.